…that are both useful or of educational value for you. This list will grow so come back often to see what’s new. I know that not all of us are oriented as science majors. “-) I am not a science major either. However, I find fascinating the world in which we live and while science was very hard for me in school, in my employment I ended up doing a job that required allot of science and math. I loved that job! So what you are seeing here are some of the articles I have used to research points that I am making in my blog posts for my audience and my friends. I intend to provide you with well-founded and sound recommendations. I would not offer a suggestion or provide information that I have not taken time to understand well, maybe not fully, like a PhD in that field but certainly to have covered my bases as best I can so I’m confident what I am sharing is truthful and at least well researched. So some of these referenced resources are a bit technical and others are just good information. See what serves your needs as you browse through them here. This is a tool created by the Center for Disease Control in the United States government. It is very helpful in assessing where your child should be when it comes to their developmental progress. I recommend downloading it, filling it out and bringing it with you to the child’s doctor appointments. This is a short list of sensory processing symptoms and a couple of pages that I have created that will facilitate a hard copy log of your observations. Keeping a log and bringing it to appointments will help you to clearly substantiate your observations, a very important part of your job, so that you can be firm with people in your child’s life when needed. You may want to read the post where I introduced this to learn more about why I believe this is important. 3. News from the medical world on toxic effects of chemicals in brain health being at the root of developmental disabilities that include autism, attention-deficit hyperactivity disorder, dyslexia, and other cognitive impairments. Chemical exposures before birth and in early childhood years have a significant negative effect on how the brain develops both in the uterus and soon after birth. This is NOT new science but a continuing stream of evidence that substantiates what many have been saying for many, many years. The studies are being done internationally as children in every corner of the globe are experiencing the negative effects from the “industrial chemicals that injure the developing brain” and are currently understood to be “known causes for this rise in prevalence” of neurodevelopmental disabilities. 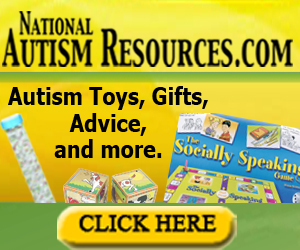 Governments all around the world are creating supportive information for the educators, family, and medical providers on the vast subject of special needs and related information. Here is a brochure created in Canada that has a number of well written sections/chapters as well as a valuable assessment tool While it has been created for a daycare setting and for the government’s health inspectors, it can certainly be used in a home environment to do similar assessments. Check it out. And download it if you find something of value that you can use. This next article is a study done in England. It does make some excellent points and provides similar substantive information to the article above from the Science Daily. If you like ‘sciency stuff’ you will enjoy this article. Spot read it for bulleted points and highlighted points if you don’t have time or the inclination to read it all. This next article has some very good visuals in it. The charts help to effectively make the points and are worth looking at. The article is titled “Fetal Alcohol Spectrum Disorders: Experimental Treatments and Strategies for Prevention”. One of the things that has been studied are how vitamins and other nutrients like zinc are creating improvements in a newborn infant. This article is right up my alley as understanding, training, and testing for teratogens and other harmful chemical affects was part of my employment for 10 years. TERATOGEN is any agent that can disturb the development of an embryo or fetus. Teratogens may cause a birth defect in the child. Or a teratogen may halt the pregnancy outright. The classes of teratogens include radiation, maternal infections, chemicals, and drugs. MedicineNet definition. Alcohol has been substantiated to be a terotogen. Bottom line? Drinking during pregnancy and while nursing is ludicrous and dangerous to the developing child we may be carrying in our womb. 6. In writing and recommending that we protect our lungs and that of our family during a fire emergency the importance of understanding fire progression and the air contaminants it creates is an important foundation from which we make our decisions. Hydrogen cyanide is a nasty air contaminant generated from the variety of materials in our homes, from the insulation in the walls to carpet, even clothing. This article will make it clear how dangerous this contaminant really is and why you need to protect your lungs. It is amazing how much information is available for us, in order to create a solid foundation of knowledge as we seek to do our best for our special people. I hope you find something here that is helpful to you. I will continue to add items so feel free to return and find out what’s new. And if you are seeking information in some subject area and haven’t yet found what you need, please send me an email linda@specialneedsadvocatepower.com or leave me a comment. I will dig into my research resources and do my best to find you an answer.